The scope of the Takata-made airbag recall was expanded this week, after the company doubled its recall numbers, bringing the number of vehicles impacted to 53 million worldwide. While Canadian statistics are hard to find, 34 million vehicles in the US were affected, making it the largest automotive recall in U.S. history. The airbags can explode with such force that it can send metal shards and shrapnel flying into the passenger cabin, potentially causing serious injury or even death. Driver and passenger safety is of utmost importance at Honda Canada. The company responded quickly by implementing a customer service procedure to replace the airbags and even covering the cost of temporary transportation where necessary. Those affected are urged to contact their Honda Dealer promptly to have the vehicle serviced. Vehicles affected include certain model years of the Accord, Civic, CR-V, Element, Odyssey, Pilot and Ridgeline. In total, 11 automakers were involved in the recall including Toyota, Nissan, Mazda, Chrysler, Ford and BMW. 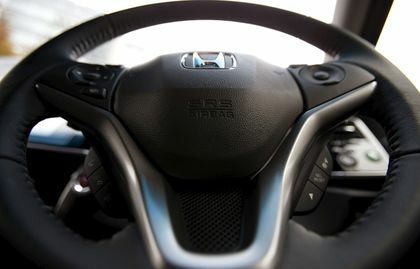 The Japanese company, Takata, is facing several class-action lawsuits in Canada and the US. If you are driving one of the vehicles which may be affected, give us a call at 905-934-3379 and one of our customer service representatives will be sure to point you in the right direction. After all, you are part of our family, and we care about our family’s safety!